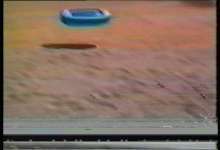 "This mechanism of functioning of consciousness is played, for example, C regeneraciones de VHS a VHS of Antoni Pinent. 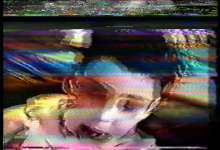 In it, a selection of images of childhood in a child, recorded on a home with a Super-VHS camera, is copied and replicated in blocks always the same in a video tape backwards, ie from the current state child, with ten years until his baptism. The result is a tape of 15 minutes duration in continuously repeating the same block, the same setup, but that will be copied to twenty-five times losing quality with each new generation. So the viewer perceives forgetting (the loss of quality) of the images as close to the original state they were recorded are becoming clearer. The key is that the assembly is presented in reverse, gradually, from the current state of the child, who hardly remembers the sights and sounds, to the same sharpness of the "facts" acting out the experience of the whole child. What the viewer sees during the first three minutes is pure "snow" because it is the block of images is in the latest generations of video, is the character state of oblivion. But suddenly, they begin to appear decoded images and sounds. Interestingly, and haphazard manner, only block some images are privileged, since they appear before others and more clear (especially one in which as the ghost, disguised as Dracula child looks in the mirror). Thus, through the mechanism of an overly long suspense, the sights and sounds are discovered and "remembering."